The full trailer for the sixth season of Doctor Who since its rebirth was released yesterday and it looks fantastic. 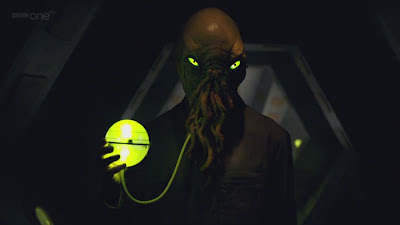 After Matt Smith and Karen Gillan's decent first year, hopefully they can kick on in their second attempt and live up to the promise shown sporadically through last season. Smith in particular really started to find his feet as the season went on, and he captures the eccentricity of the Doctor particularly well. Gillan did okay, but was very underwritten and I hope that the writers this year give her more to do than the pouting and scowling she was given last time. Always good to see the Ood back again, my favourite of the new creatures the Doctor has encountered since his return. The doll face creatures in the trailer look spooky and cool too. The first episode is apparently screened during the Easter break, can't wait! 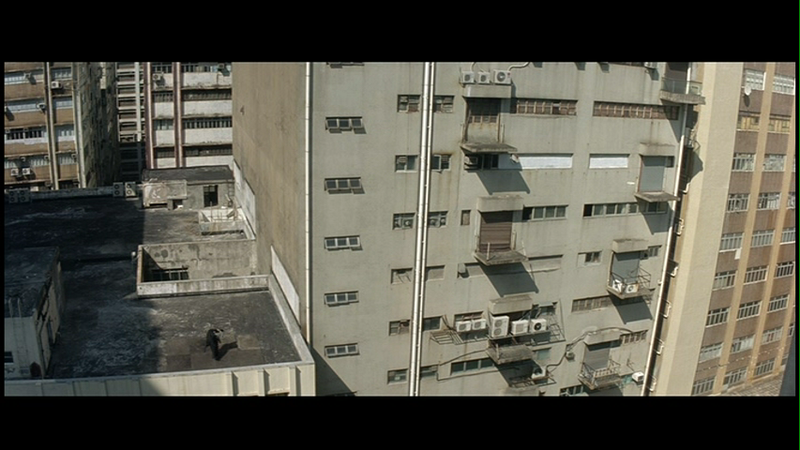 I Love Hong Kong is Eric Tsang's lunar new year film for 2011 and follows the template created by last years 72 Tenants of prosperity. 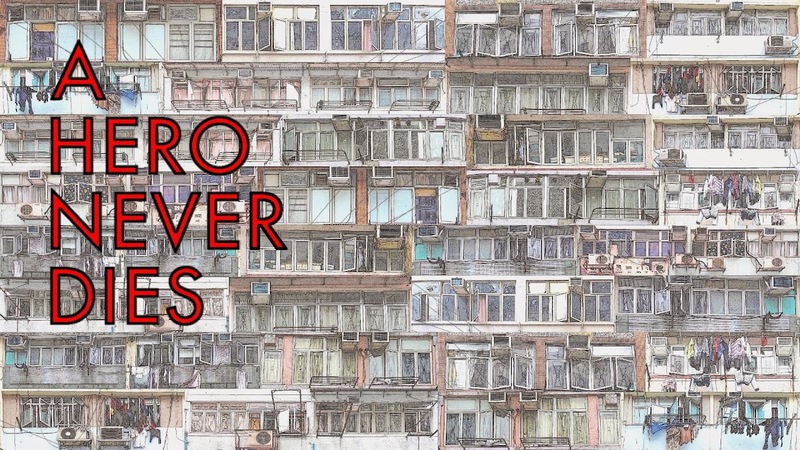 The movie features masses of Hong Kong stars from film and television (many of whom will be lost on western audiences), a sprinkling of social commentary, a rudimentary plot, lots of mugging to camera, unbelievable amounts of product placement and most importantly plenty of laughs. Tony Leung Ka Fai's toy business has failed due to the economic downturn, he grew up on a public housing estate where his father played by Stanley Fung still lives, and has to move in with him bringing his wife Sandra Ng and his three kids into the cramped flat. The family members all try to make the best of a bad situation, and matters are further complicated by an ex girlfriend of Tony Leung's played by Anita Yuen who lives on the estate and the return of an old friend who apparently stole money from the community played by Eric Tsang. Sandra Ng's character suffers most of the trials in I Love Hong Kong, not being used to her new lifestyle, she struggles with the etiquette of shopping in the local markets, and has to go back to work at a beauty company that has changed beyond all recognition from her time there before. In true lunar new year film style, she handles all this with good humour and shows a positive attitude goes a long way. Using flashbacks to the younger days of the characters in a similar manner to 72 tenants, we learn the back stories of the characters to flesh out what we are seeing in the present, this technique works well again here, and sets up some amusing gags. I Love Hong Kong is great fun, an excellent main cast do a really good job with what they are given, with Sandra Ng once again proving what a fantastic comedic actress she is, in particular the TVB scene with Wayne Lai is very funny. 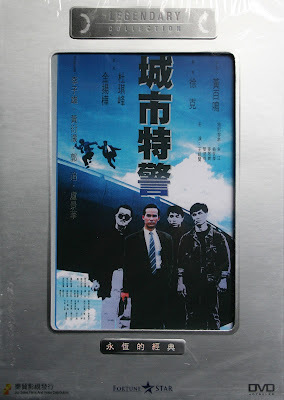 Tony Leung is very good too and he makes, as we have seen before in Jiang Hu The triad zone a great pairing with Ng. 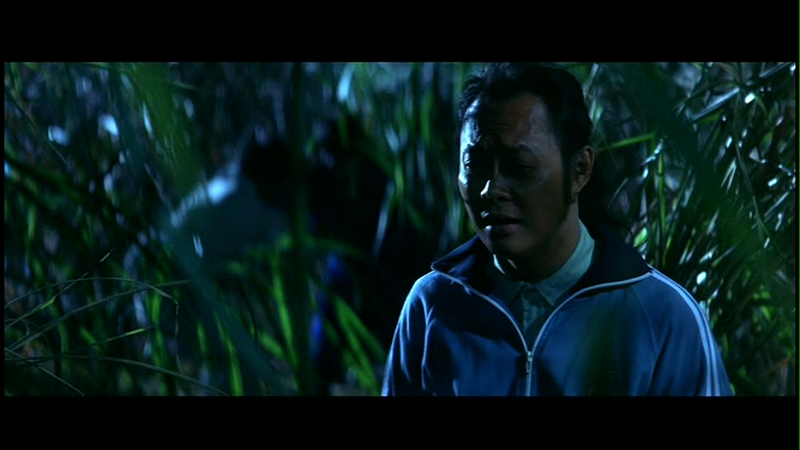 Eric Tsang plays himself again, and unbelievably his voice seems to have gone up another octave since last hearing him. 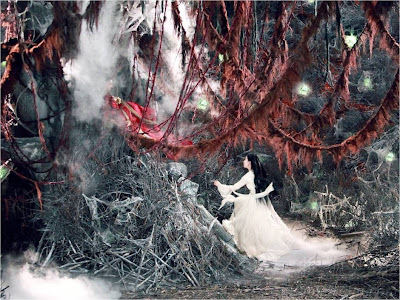 More laughs come from spoofs of other movies and genres, with The Mission getting a nod and an inspired J-Horror style sequence being very amusing. The positive vibe from the film is very welcome, and the message about the importance of community spirit is a good one where ever you are, although some of this is handled heavy handedly and seems a little rich given the rampant product placement and advertising, the film just about gets away with it. The movie has done very well at the Hong Kong box office proving Tsang's formula has plenty of life left in it. My only problem is the story and structure of the film are just too scattershot for it to be regarded as anything but throw away, especially when compared with 72 Tenants. Its a minor issue though as I Love Hong Kong successfully covers all the bases for a new year movie and when its as funny and entertaining as it is, thats good enough for me. 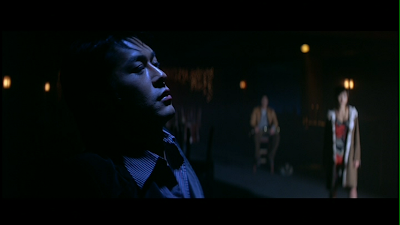 At least until the release of 2008's Sparrow, Throwdown, often referred to as "that judo movie", was Johnnie To's most personal film. In interviews since, To has stated its his favourite of his own movies. 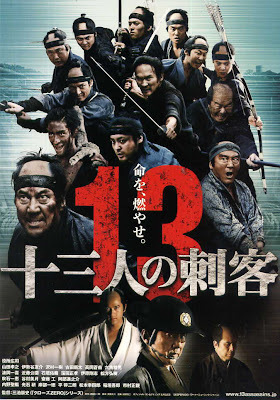 To dedicates Throwdown to Akira Kurosawa, and the movie features references and themes which echo the Japanese master filmmaker, in particular his directorial debut Sanshiro Sugata which, like Throwdown features a plot based around the Japanese martial art of judo. A tv series was also made based on the character and the theme song from that show features prominently in the film to great effect. Szeto Bo (Louis Koo) is the manager of the After hours bar, he is perpetually either drunk or hungover, addicted to gambling and is in serious debt trouble, he has just about given up on life. Its very much a case of squandered talent as he used to be the golden boy of the judo scene, but on the day of his biggest match he walked away, never to fight again. 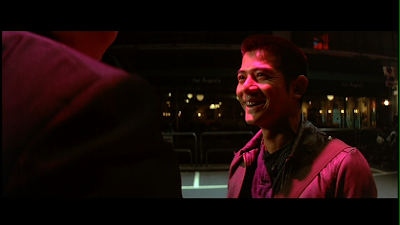 Tony (Aaron Kwok) is a drifter, he travels around looking for the best judo fighters to measure his skill against, Tony knows of Szeto Bo's reputation and wants to fight him, he finds Szeto at the bar and challenges him to a fight but Szeto is drunk, so Tony waits for another opportunity. Mona (Cherrie Ying) dreams of making it as a singing star in Hong Kong, having already failed to do so in Taiwan, she tries the After hours bar for a singing gig. Szeto Bo strings both Tony and Mona along, keeping them both hanging on while dragging both into helping him steal money from gangster brother Savage (Cheung Siu Fai). 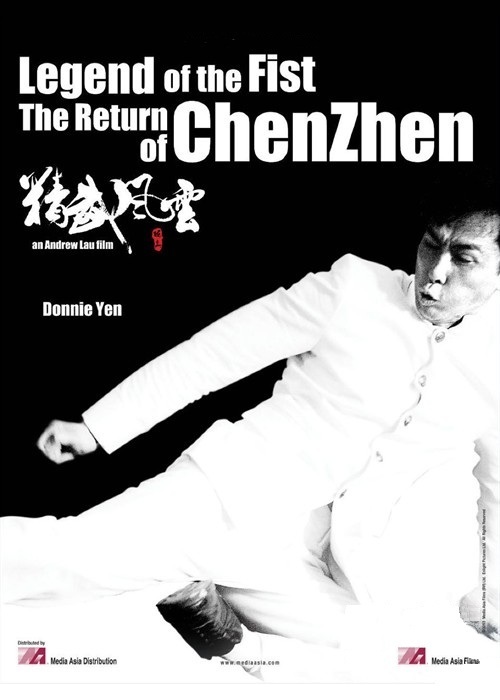 Master Cheng (Lo Hoi Pang) and his son Jing (Choi Yat Chi) run the struggling dojo where Szeto learned his judo from Master Cheng, which without new students will have to close. 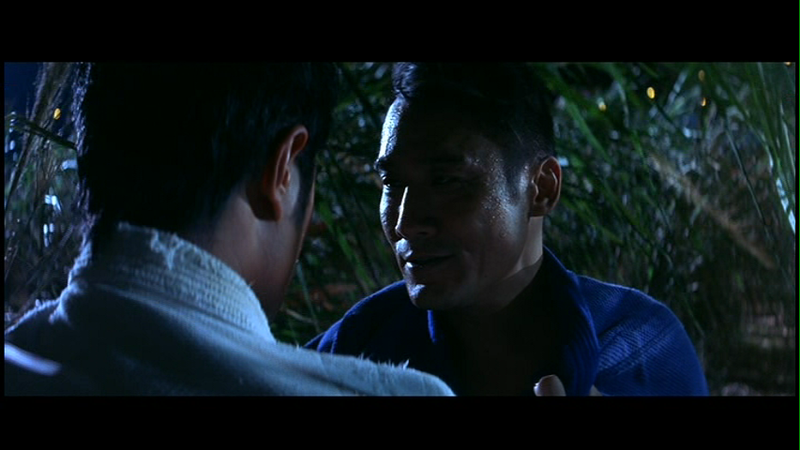 Lee Kong (Tony Leung Ka Fai) is the judo master who Szeto Bo stood up two years ago. Without giving anymore of the plot away, events happen with bags, money, a balloon and shoes. Ostensibly a tale of redemption and being true to your dreams, describing the plot of Throwdown cannot do the film justice, the story is secondary to the interaction of the off kilter characters and perhaps more importantly the pure cinematic joy poured into the technical aspects of the filmmaking. 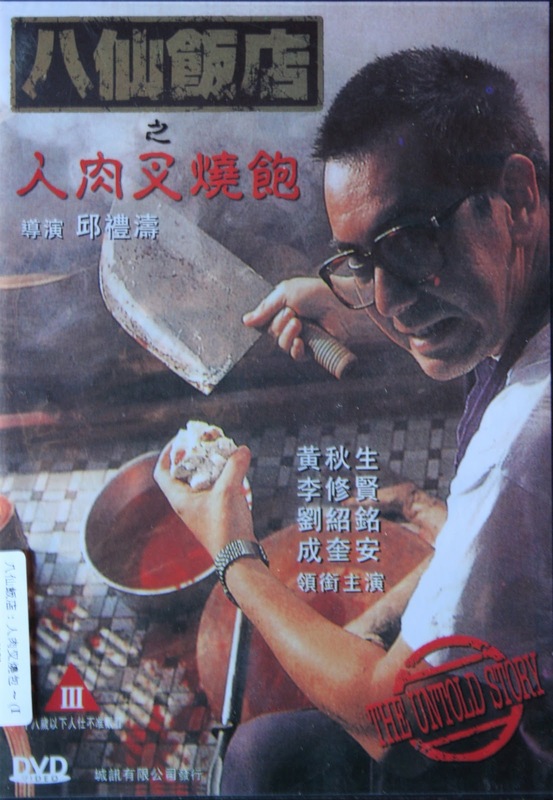 Throwdown is an unusual film, and your mileage will vary depending very much on how willing you are to enter Johnnie To's world. Many of To's movies seem to share a world where it would not be unexpected to see a crossover of characters across films, for example Anthony Wong's character from The Mission, could conceivably appear in the Election films. Given the repetition of cast and crew To regularly brings together in his movies, this helps create the feel of a relatively consistent world in where his stories can be told, perhaps the biggest asset in achieving this is regular cinematographer Cheng Siu Keung. Inevitably this approach has its plaudits, but also leads to criticism, in that To keeps making the same movie over and over, recycling the style, actors and stories from film to film. This is a criticism that cannot be levelled at Throwdown however, the film it feels most akin to is P.T.U in look, but its quite distinct from the darkness at the heart of that film. 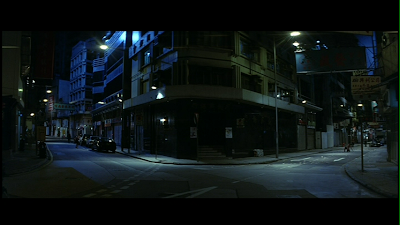 Throwdown's Johnnie To world resembles the P.T.U version of Hong Kong in that its a world of shadows and darkness, with mostly deserted streets illuminated by specific spots or pools of light, but whereas in P.T.U brutality was as important a communication tool as speech, in Throwdown it is the much more positive force of judo that is important, where characters inability to reach agreement results in the grappling of clothing, before bodies hit the floor and where respect is earned and given. 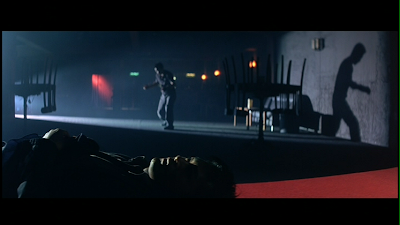 The tone of Throwdown is much less cynical than we usually see in Johnnie To's worlds, the messages and themes he tries to get across may be simple but they work effectively for this film, the difficulty is to actually enter this world. These days much is made of films and tv that take place in alternate worlds setting up rules for what can and cannot happen, To does not set up anything to suggest why people just start grappling and throwing each other to the floor, and for audiences used to having rules and reasoning, this can be disconcerting and off putting, but if you accept this, you then get into the rhythm of the characters and you won't look back. The three leads all put in creditable performances, Louis Koo being very good here, one of his best roles for me, again like the film itself his performance is very stylised, and takes a little getting used to but as the film goes he gets better and better and on further viewings his acting looks even more nuanced. Aaron Kwok does well as Tony, he really goes to town on the judo scenes and he has just the right level of enthusiasm. Cherrie Ying, although slated in interviews by Johnnie To himself, does very well as the wannabe starlet, how much of this is actually down to her and how much to To's decision making is interesting, as To suggests parts of the story were cut as she wasn't capable of delivering what he was looking for. The most enjoyable aspects and performance in Throwdown are from the ancillary characters, with special praise for Cheung Siu Fai as the hilarious Brother Savage, the overly competitive gangster, whether punishing his own runners for being late by cutting them with a stanley knife while playing an arcade game or intimidating a small child into tears during a game of air hockey, he is an inspired addition to the Johnnie To world and one who I would love to see in another movie. Lo Hoi Pang as Master Cheng is good, and Calvin Choi Yat Chi, his man child son is excellent bringing genuine emotion to the film, as well as comedy. He also sings the Sanshiro Sugata theme song I mentioned before during all the big judo set pieces. Jordan Chan has a small cameo as Mona's sleazy manager, and gets a little Throwdown action to boot, but the big cameo in the movie is Tony Leung Ka Fai, he's excellent and brings real gravitas to Lee Kong, he commands the screen in every scene he is in. 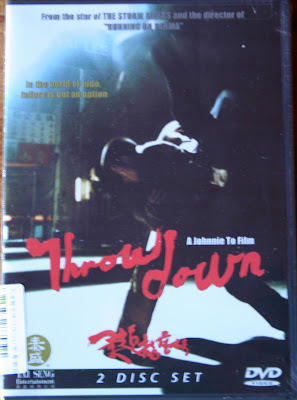 I can understand why Johnnie To picks Throwdown as his favourite of his movies, it feels like the movie where everything really comes together for him in terms of filmmaking technique. Throwdown is without question for me one of the best looking Hong Kong movies ever made, every shot is fantastic. The use of long shots, cinemascope framing, depth and focus is outstanding, and given the events in the movie the focus is very important. Much of this is down to cinematographer Cheng Siu Keung but To always seems to know exactly what he wants, particularly with actors but I'm sure this extends to the look of his movies. 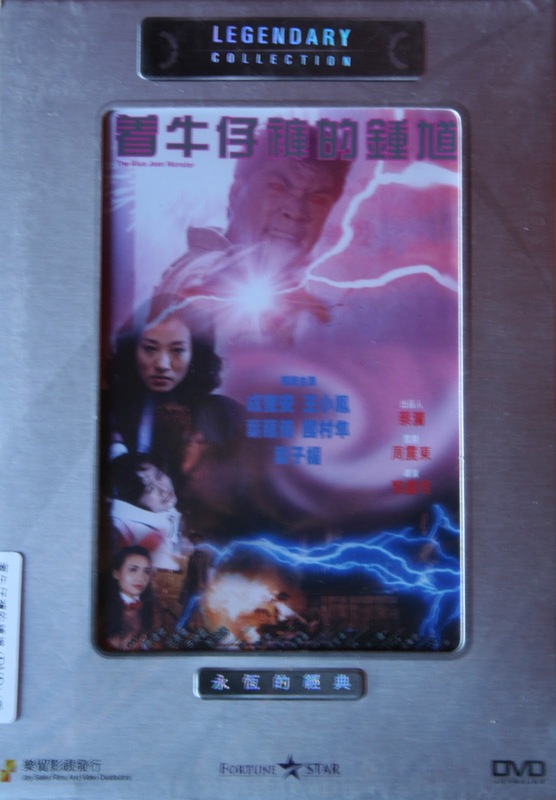 The dvd viewed here is the Tai Seng two disc edition, it was also available as a single dvd, that edition is a port of the Panorama HK dvd, this two disc version splits the extras (identical to the HK version, including a 40 minute interview with Johnnie To) onto a second disc. The first disc is where the differences are, the subtitles for the film have been retranslated and are much better than the ones on the HK dvd, the songs featured in the movie are also translated, including the tv series theme, this in particular is welcome. The biggest addition is an audio commentary by Ric Meyers and Frank Djeng, the track is quite entertaining, but not overly informative and there are quite a few mistakes. I enjoyed Djeng's comments much more than Meyer's, this was the first commentary of his I have listened to and not only is he a terrible name dropper, he doesn't seem to have done much research before recording and he has some questionable opinions, such as The Mission is "deadly serious", P.T.U is "whimsical" and most unbelievably Meyers asks if Throwdown was shot on video, given the look of the film I found this incredible and had to rewind just to make sure I heard it correctly! The video transfer looks identical to the HK dvd and looks fantastic, there are a few scratches and blemishes but the disc copes well with the films inky blacks, shadows and vibrant colours. Throwdown will not appeal to everyone, the film is just too off kilter for that, despite having a simple story and a straightforward message. For me, this beautiful looking film improves with each viewing, and I'm eagerly awaiting a blu ray release. It would be easy for this film to be lost amongst the genre films of Johnnie To, its crucial to remember how much of a milestone Throwdown was for him artistically, and its importance in his career should not be underestimated. Following on from part 1 the second part of my order from Yesasia has arrived, again I tried for a good mix of movies I haven't seen and some upgrades across a range of genres. Dream home. I had been intending on waiting for a UK blu ray hoping it would be the uncut version, but it only seems to only be being released on dvd, so I went for the HK blu anyway. A great film. I love Hong Kong. I really enjoyed 72 tenants and I'm hoping lightning strikes twice for Eric Tsang, just about every review I've seen has been positive so far. The Big heat. I've never seen the uncut version of this 80's Johnnie To movie, its apparently pretty gory in its uncut form and its To, that makes it a win win. Mortuary blues. I have a soft spot for Jeff Lau movies, I've never seen this one. Its a weakness I know! A quick catch up on three recent viewings, that I wanted to briefly comment on. Vincenzo Natali's Splice is an Science fiction/horror hybrid, covering the dangers of genetic engineering and playing with nature. Two scientists played by Adrien Brody and Sarah Polley create a new life form by mixing the dna of different creatures, under the guise of medical research, but this is not enough for them, the scientists are looking to push scientific boundaries and cannot resist going too far by adding human dna into the mix, creating something else entirely. Horror ensues! Unfortunately the horror comes from the screenplay and acting rather than any genetic mutation, this is a terrible film. Splice starts off okay, although there are warning signs of what is to come, but around halfway it completely falls apart, and becomes a series of WTF moments, in fact the only film in recent memory with quite so many WTFs is The Happening, but at least that was funny with it. Adrien Brody seems to be hellbent on flushing his post oscar career down the toilet, with his strange choice of roles and even stranger performances. I actually felt sorry for Sarah Polley who is a really talented actress, but has to do and say some of the most ridiculous things in the name of this movie. The only highlight of Splice is the acting of Delphine Chaneac as the creature Dren, she deserved a better movie for the quality of her performance. Cellular directed by David R Ellis and based on a story written by Larry Cohen, stars Chris Evans, Kim Basinger, Jason Statham and William H Macy, and is the film Benny Chan remade as Connected. 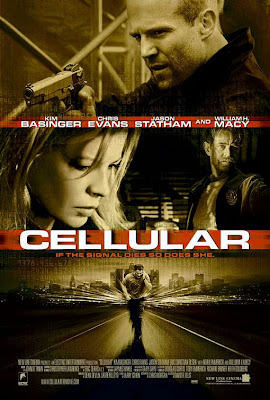 I liked Connected, it was a solid action thriller with some pretty good performances and guess what, I liked Cellular for pretty much the same reasons. The standout performance here is William H Macy as the cop, he brings a real lived in feel to the role, with humour and a touch of weathered weariness as well. Kim Basinger is very good, with just the right amount of fear and strength, I don't understand why she doesn't get more work in Hollywood. Chris Evans is fine, the problem with his role is in the writing, and is the major difference between the two films. Whereas in Connected Louis Koo really does feel like a loser who cannot get anything right and grows as the film progresses, with Chris Evan's character he doesn't seem to actually learn anything, everything is already there and just needed bringing out. Overall I prefer Connected to Cellular, for Louis Koo's entertaining overacting and the Hong Kong action elements, but the American version is a solid little action film and worth your time, if only to see Macy's performance. As an aside I would have loved to seen how Cellular would have been had Larry Cohen made the movie, rather than just writing the story. Legend of the fist The return of Chen Zhen is Andrew Lau's take on the Chen Zhen character previously portrayed in movies by Bruce Lee and Jet Li, this time its Donnie Yen taking on the role. 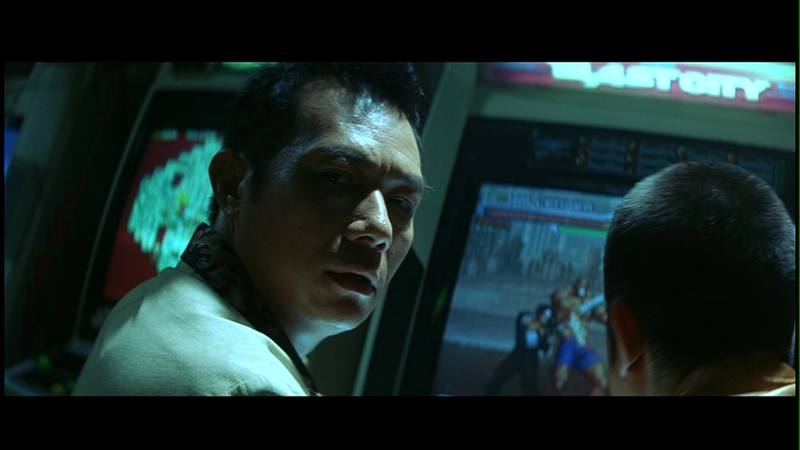 Legend of the fist has received more than its fair share of derision from many HK cinema fans, and honestly I don't understand why, its Andrew Lau and Donnie Yen, surely fans would know what to expect from this combination, stylish action and Donnie looking great! The storyline continues the recent trend of over the top Chinese nationalism, and has Donnie fighting with the Chinese resistance against the Japanese. Anthony Wong and Shu Qi are featured in supporting roles, Wong isn't given much to work with but brings his usual effortless panache to the role. 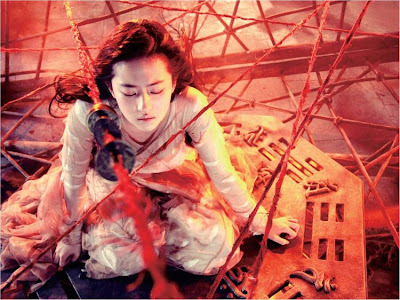 Shu Qi looks great and is good in the first half of the movie but seems less comfortable as the story takes a darker turn. Lets not get too far away from the point though, and thats Donnie. 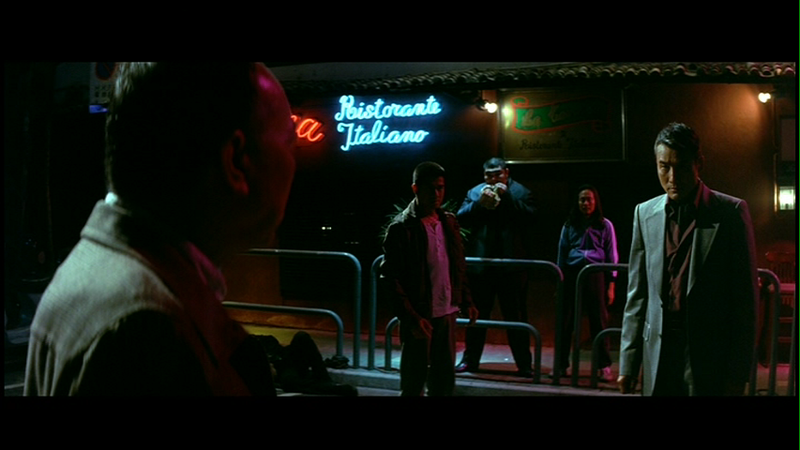 The camera loves him even more than usual in this movie, and it becomes amusing as the film progresses. The action is fast and furious and should satisfy most appetites, some of the fight scenes seem a little over edited and that make the action occasionally hard to see, but this looks to be a stylistic choice. 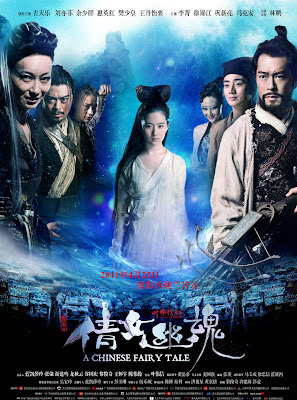 Legend of the fist is not a great movie by any means but it is entertaining and really I didn't expect anymore. 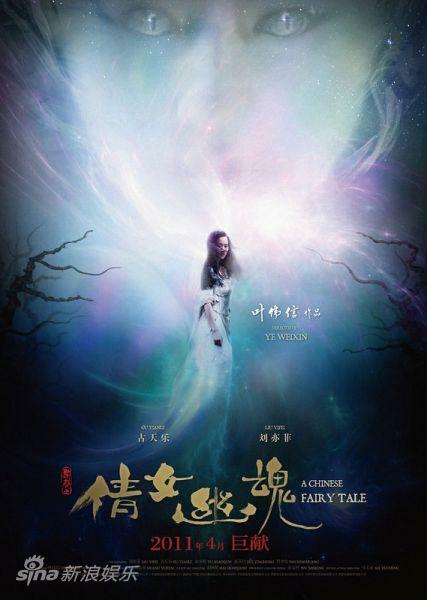 A new trailer has been released for Wilson Yip's A Chinese fairy tale, better known as the remake of the Hong Kong classic A Chinese ghost story. The movie stars Louis Koo, Yu Shaoqun, Liu Yifei and Kara Hui. I'm not sure what to make of this film, on the one hand I don't like the idea that such a classic is being remade, but on the other hand parts of the trailer look really interesting and from the stills the production design looks excellent. Wilson Yip also seems keen to distance the film from being classed as a remake, Yip says its a retelling of an old story. 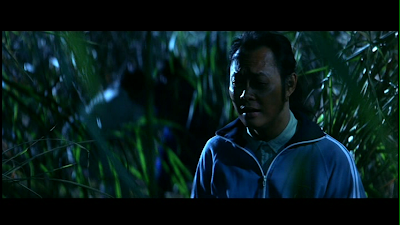 One of the main things bugging me though is Louis Koo in the Wu Ma role, of all the actors to choose from, surely an older actor is required for this role, how good could Anthony Wong have been in the role? 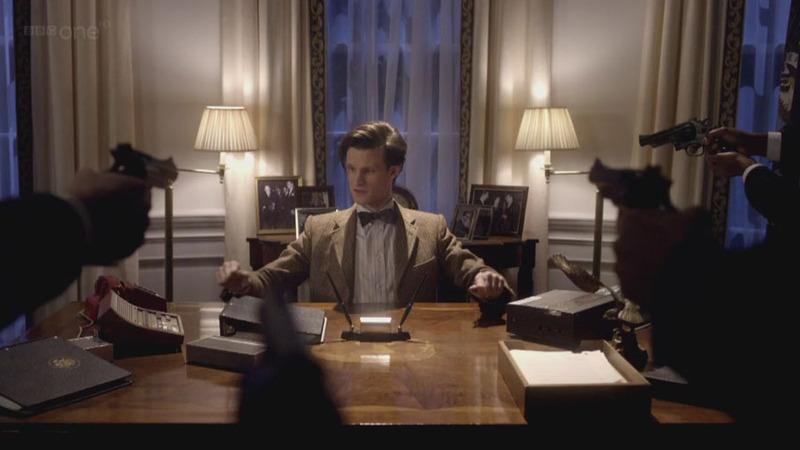 I think these stills look at the very least interesting, and so maybe it won't be the disaster it could have been. As long as they don't overdo the CGI, then it could be pretty good, maybe! I guess we'll see soon as the movie is due to be released in Hong Kong at the end of April. How time flies! After this post only a few weeks ago, were it possible we would have been flying to Hong Kong today for the start of the 35th HKIFF, unfortunately it wasn't to be and so in an attempt to bring a tiny flavour of the festival home I placed a couple of nice, juicy orders with Yesasia. The first one arrived yesterday. Its a good mixture of movies I haven't seen at all and a few upgrades on titles I have been wanting to revisit, I'll be watching most of these over the next fortnight or so, and with another box to come during the next week or so, they should keep me plenty busy. Throwdown. The Tai Seng US release which has some exclusive extras, including an audio commentary by Ric Meyers. I know his reputation is not the greatest, but I'll give him a shot. I'm intrigued at the thought of a commentary for this movie and always looking for an excuse to rewatch this. The Untold story. Another stop on the category III road of debauchery, never seen this and by reputation its gonna be a tough watch. Once a gangster. When I compiled my top ten list for 2010 I completely forgot about Felix Chong's Once a gangster, it may not quite have cracked the 10 but it certainly would have been at least an honourable mention, one of the most under rated movies of last year and I'm eager to rewatch it, should be great on blu. Running on karma. 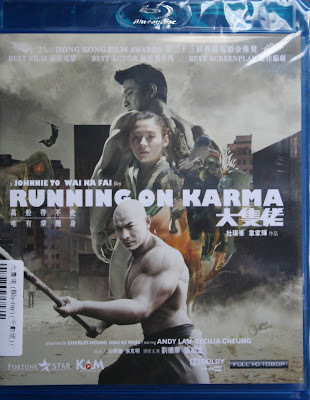 Johnnie To and Wai Ka Fai's Running on karma is a fascinating movie and given that Wai Ka Fai is the filmmaker in focus for the festival its a great time to revisit, I've only seen the movie once and I'm really keen to see how it holds up, and how the blu ray is given the ongoing controversy over Kam and Ronson's blu ray releases. Blue jean monster. I've never seen this but always wanted to, and its always good to see Shing Fui On, especially in a starring role and as a good guy no less. All about love. 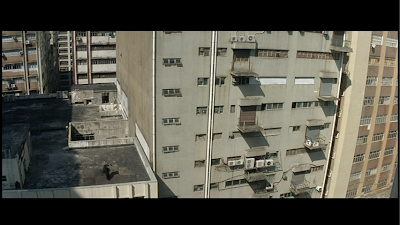 Although primarily an action movie fan, I really like Ann Hui's films. 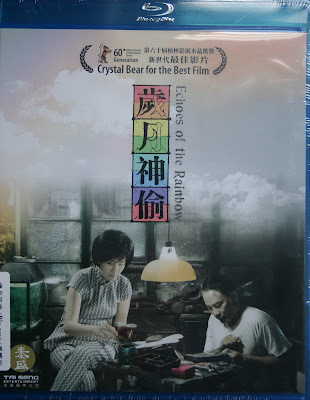 I thought The Way we are was a minor masterpiece of a film, and All about love is Hui's latest. 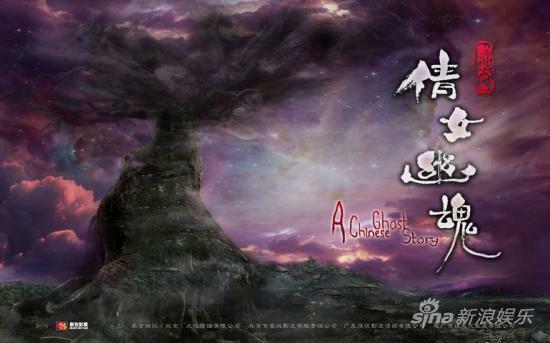 The movie stars Sandra Ng, who is one of my favourite actresses, really looking forward to this. Echoes of the rainbow. Another starring role for Sandra Ng, along with Simon Yam. I've heard good and bad about Echoes, but I'm hoping to really like it. I will be posting about some of these as I watch them and also the second part of my order, so please stay tuned.